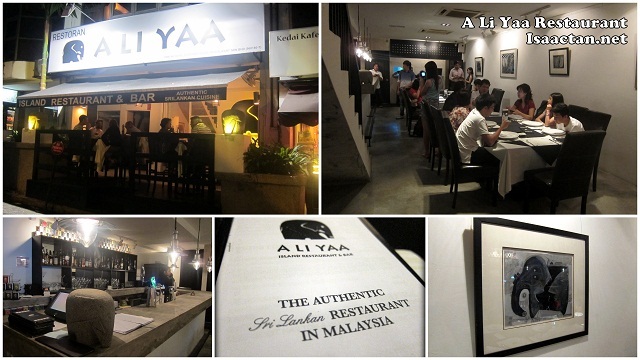 Located just beside Aria Restaurant in Bukit Damansara, is yet another homely restaurant A Li Yaa Restaurant & Bar, offering Sri Lankan cuisine which was new to me. 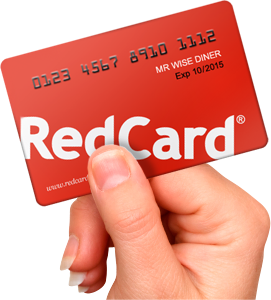 I had the opportunity to dine there with a group of friends to try out their signature cuisines. Reaching the restaurant just before nightfall, there was already a crowd gathered to have their dinner at A Li Yaa. The ambiance inside the restaurant was pretty good, with warm lights illuminating the Sri Lankan stone-themed decor. Now, I don't usually have Sri Lankan food, so I was rather excited to dig into some of A Li Yaa's Sri Lankan food. Do check out what we had that night. The first two opening appetizers that arrived were the Fish Cutlets and the Lamb Rolls, which were both savory and stuffed with lots of spices. Crispy on the outside, and tasty inside, I could not get enough of both these appetizers. Taken with A Li Yaa's special chilli sauce, it did open up my appetite for more spicier dishes to come. A Li Yaa called these "sambal" as Sambol, which to me were the same except these Sambol came in various unique flavours to complement the Sri Lankan dishes. We had the Seen sambol, Pol sambol, Katta sambol, Karuvappilai sambol (curry leaves) laid out on the table for us to savor with our dishes. The String Hopper Kothu Seafood and Chicken were similar except one came with seafood while the other came with minced chicken.These 2 dishes were cooked akin to the way fried rice was cooked except instead of rice, A Li Yaa used these fine "muthumayam mee hoon" like strings made from unprocessed brown rice flour dough which was a delight to the taste buds. Served hot, these 2 dishes topped my favourite dishes list for the night. We were served with the Mutton Paal Poriyal a mutton dish which had a heavy spiced taste. I heard this dish was their top seller as the mutton came in small bite-sized portions cooked with curry leaves and lots of chillies. The Fish Sothi was good too, cooked in coconut milk lemongrass, with added garlic, shallots and curry leaves to produce this mild and thin creamy curry. Now if only there were more fish portions in the dish it would have been great. For a person that does not really fancy Brinjals or Egg Plants, surprisingly I found myself wanting to try out A Li Yaa's Brinjal Moju and Eggplant Sombol just because it smelt so good. I found most dishes that were served had a lot of spices in it very similar to Indian cuisine except these were from Sri Lanka origins. Next up on the menu was the rice dishes, Lumprice Chicken to be exact. We were served with two different versions, one unmixed and the other one with all the ingredients mixed and sent for a short oven bake to release the sweet aromatic flavour. Wrapped in a banana leaf and served with fried egg. roasted cashew nuts and vegetables of the day, it does remind me of Penang's Nasi Kandar. 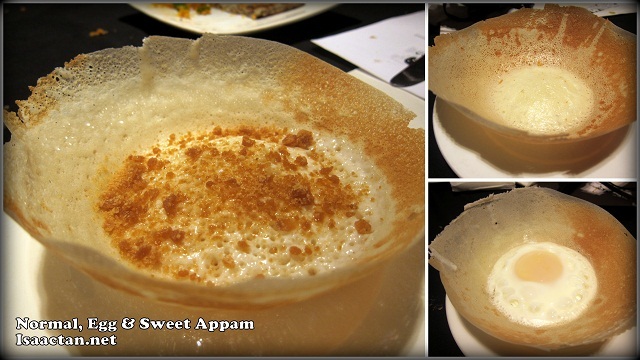 We ended the evening with A Li Yaa's plain String Hopper Kothu (our first few dishes was this string hopper kothu fried with seafood and chicken), some Doosra Roti and various sweet and savory Appams. It was an explosion of tastes that evening as we had savory, spicy, sweet and sour dishes all prepared with great tasting spices. A Li Yaa Restaurant is a pretty good place to dine in should you be in the vicinity of Bukit Damansara and will like to savor some authentic spicy Sri Lankan food. Wow.. I've not tried Sri Lankan cuisine before! Gosh..the food looks so unique.. Must try if given an opportunity! I bet my big sister from Smallkucing.com would love to try these too... last time, she brought me to an Indian Cuisine somewhere in PJ, and I loved it very much... one of these days gonna ask her to accompany me here. =D Looks tasty. ok, I'm hungry. Dinner time!!! They look really delicious and from the way you described, they seem to be really delicious! I'm so going to try them out! the crabs look awesome. so that's where they have gone to. loved their old place though. green and fresh. somehow now it feels very shoplike.